For many people, anything related to electricity is a little intimidating, and so those outlet receptacles that are sitting slightly akilter and tilted to one side are never touched at all—as they drive homeowners a little crazy with their imperfection. 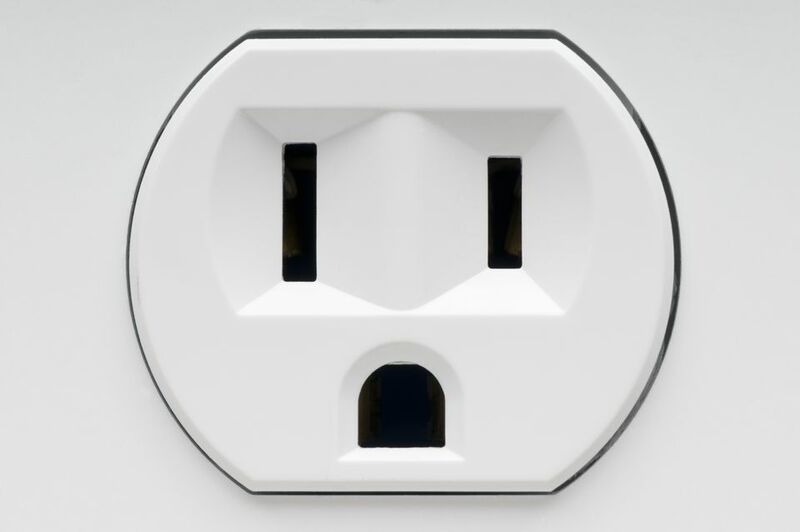 Homeowners need not put up with this annoyance, though, because it is very easy to make these outlet receptacles sit upright within the outlet box. All it takes is a screwdriver. And, by the way, you can use the same technique to straighten wall switches if they are slightly tilted. Turn off the power to the outlet at your home's service panel (circuit breaker box). Switch off the breaker feeding the outlet's circuit, then test the outlet with a non-contact voltage tester to make sure the power is off. If you don't have a tester, you can plug a lamp into the outlet and turn it on; the breaker that turns off the lamp is the right breaker. Remove the screw at the center of the outlet's cover plate. This usually requires a small flathead screwdriver. Remove the cover plate and set it aside. Loosen the two screws holding the receptacle's metal mounting ears to the electrical box. There's one at the top and one at the bottom of the receptacle's mounting strap. These usually are combination-type screws that can accept either a flathead or Phillips screwdriver. You only need to loosen them a couple of turns; just enough so that the mounting strap ears can slide under the screws. The ears have elongated holes allowing for slight adjust the receptacle from side to side. Use one hand to push or twist the receptacle to straighten it and hold it in place, then tighten the two mounting screws with the other hand. If you loosen both screws and move the outlet as far as it will go, you can get a twist the receptacles a full 1/4 inch or more. Reinstall the cover plate with its screw, making sure it is straight, too. Be careful not to overtighten the screw; it's very easy to crack a plastic cover plate. Switch the breaker back on at the service panel. You're done! Finally, that outlet that's been bugging you for years is straight, and you can focus your eagle eye on other household imperfections.